10-18-2018 Update - Your Teamsters Local 492 Film Industry Business Agent Melissa Malcom and Recording Secretary Trey White were in attendance at the City Council Meeting in October where ABQ city councilors unanimously approved $4.5 million (plus $10 million for the State of NM) in incentives from the Local Economic Development Act (LEDA) Fund which helped Netflix purchase Albuquerque Studios. In turn, Netflix will refurbish the studios to shoot films & TV series, spending at least $1 Billion on film productions in the first 10 years of operations. Instructors from CNM at the meeting stated the school is ready to help Netflix fill jobs. "We don't just have filmmakers at CNM, we have builders, we have carpenters...we have any jobs in the film industry. We can do it," Charlie O'Dowd said. Netflix is making Albuquerque its home away from home. The entertainment giant has purchased Albuquerque Studios and will make it a production hub over the next year. Mayor Tim Keller said, “There will be 1,000 jobs per year, which is the largest Albuquerque-based jobs program that we can think of.” Local 492 welcomes Netflix and looks forward to the next 10 years!!! 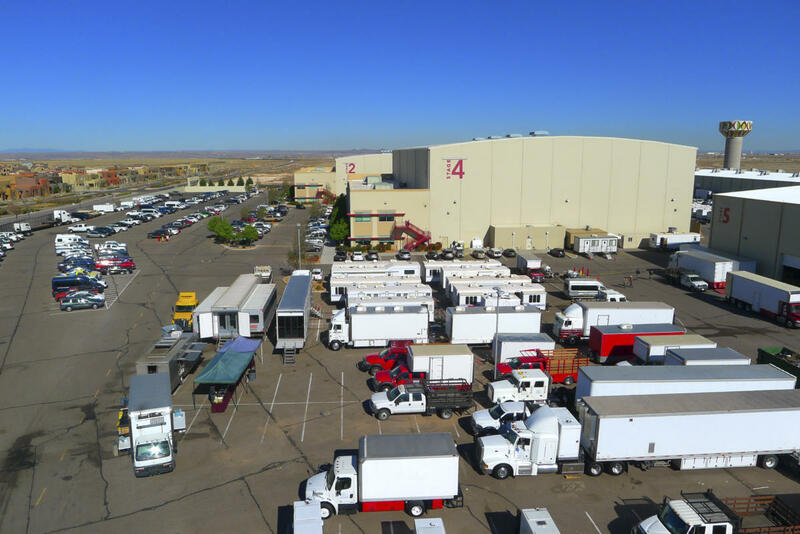 Albuquerque Studios consists of nine sound stages with over 170,000 sq ft, and another 100,000 sq ft for production offices which often doubles for filming locations, mill space and a back lot. They also offer a variety of production support from in-house lighting and grip to equipment rental. View a list of recent productions that have been filmed in part of Albuquerque Studios Here. According to a press release Monday, the company is in the final negotiations to purchase Albuquerque Studios and plans to bring $1 Billion in production to New Mexico over the next ten years. This will be Netflix's first purchase of a production studio complex. The company will produce film and television series in the new facility. They will also film at locations around the state. New Mexico will provide up to $10 million in Local Economic Development Act (LEDA) funding and Albuquerque will commit up to $4.5 million in local LEDA funding. “Having Netflix set down roots in Albuquerque guarantees that the city will remain a major production center for the entertainment industry,” Keller said. “Thanks to the strong leadership of our Albuquerque Film Office, who initiated the deal, and the groundwork laid by previous and current film industry partners, we’re ready to welcome Netflix to Albuquerque as a long-term partner in building our state’s economy.” Netflix has 130 million memberships in over 190 countries.